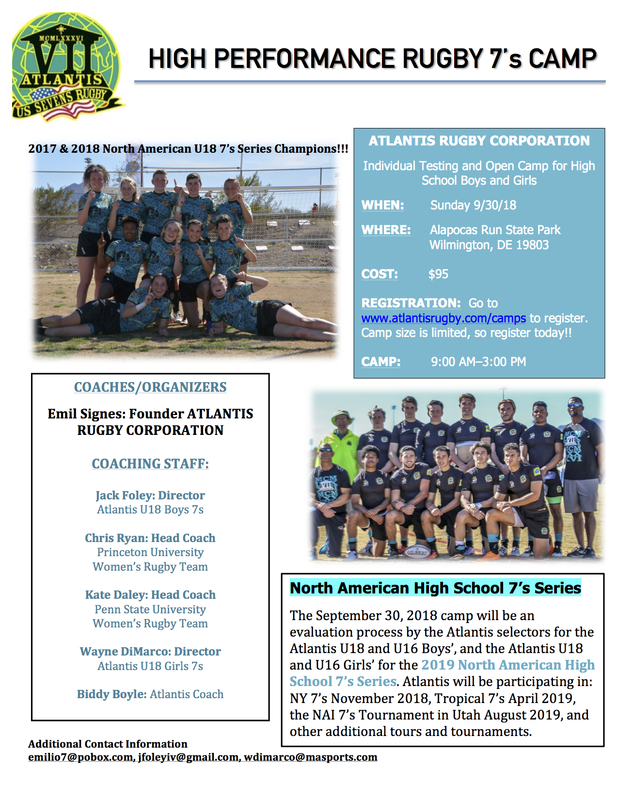 Atlantis is holding a High Performance Camp in preparation for selections for the NAHS 7s Series. The next camp will be September 30 in Wilmington, DE. The program is looking for Boys and Girls HS players who are interested at playing at the highest level. American 7s legend Emil Signes will oversee a program with coaches Jack Foley, Chris Ryan, Kate Daley, Wayne DiMarco, and Biddy Boyle.